Looking for a fun winter party dessert? We are still recovering from the crud but everyone is upright and back to school and work today.Last night Sweet Man took me to Target and I cracked him up every time I backed the scooter shopping card up. I love to make him laugh. We have not had the chance – between my foot, the craft fair and the the crud- to get our Christmas down. But I have faith that it will happen soon – and I am completely inspired by Tiff’s mantle– have you seen it? To get us in the holiday spirit around here I thought I would share this fun and easy treat that anyone can pull off. I also love the peppermint mocha’s that seem to pop up at Starbucks, McDonald’s and every coffee stand in-between, during the months of December and January. 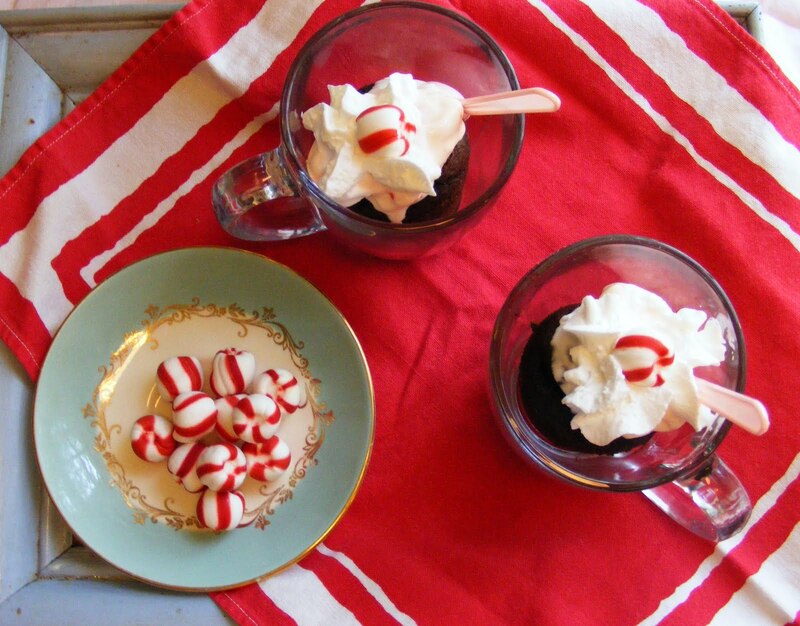 I wanted to create a fun, all-age friendly dessert that played off of both these ideas and would transport everyone who took a bite, straight to a seat on the Polar Express, racing towards the north pole, with visions of candy canes dancing in their heads. I have had cakes before that were cooked in coffee mugs or cups, but there never seems to be enough room to add anything – icing, ice cream, toppings, without creating a complete mess with the first bite. So I set out to find a way to cook a cupcake in a mug-like shape, without the mess. My solution? Paper party cups (the kind made for hot or cold beverages) the perfect solutions. *I greased half of my cups with Bakers Ease spray, and it seemed to help the cakes come out a little easier, but the cakes baked in the ungreased cups also came out fine and in one piece. 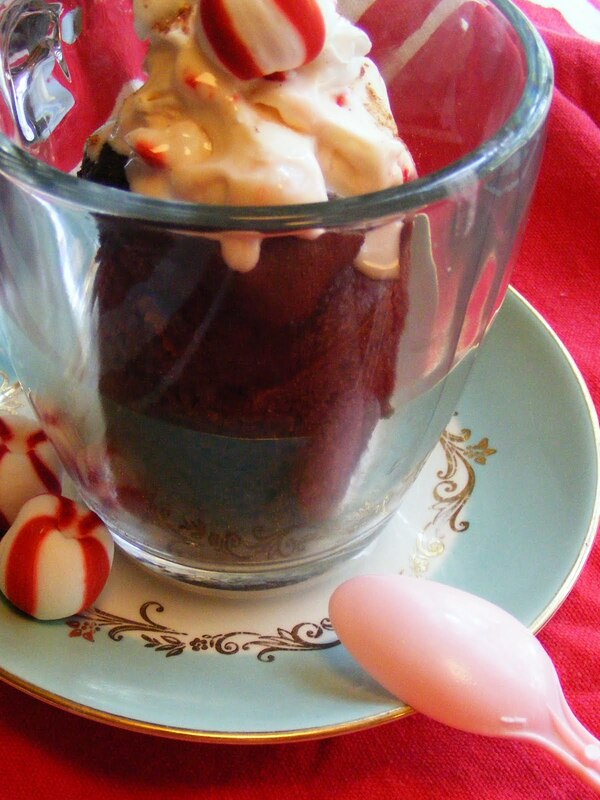 I love peppermint ice cream and it is so easy to make in small or large batches. To make a large batch, grind 3 cups of soft peppermints, unwrapped, in your food processor. Next, add 1 ¾ quart of vanilla ice cream. Mix in food processor or with hand or kitchen stand mixer till well blended. Place mixed ice cream back in freezer for 30 minutes. To make a small batch (enough for 4 mugs of cake), place a handful of peppermints (about 10 in the middle of a kitchen towel. 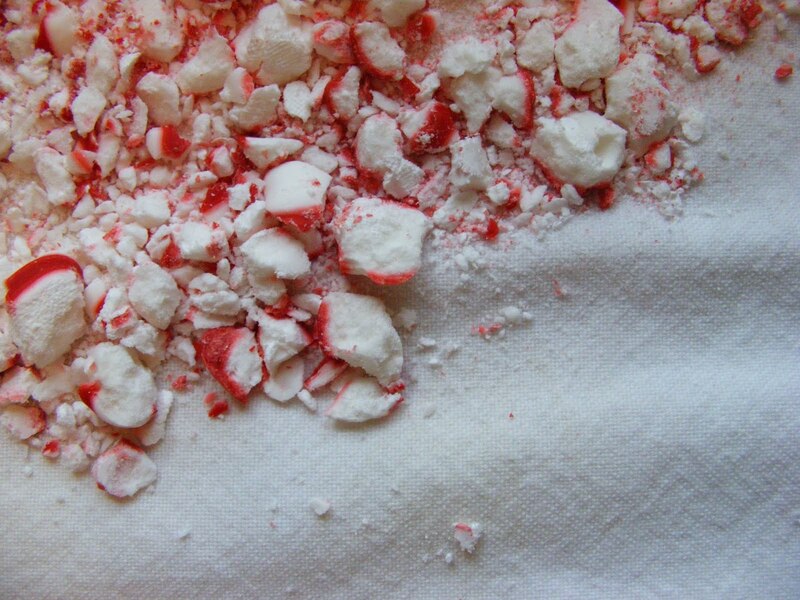 Fold the towel over and the crush the peppermints using a hammer or rolling pin. 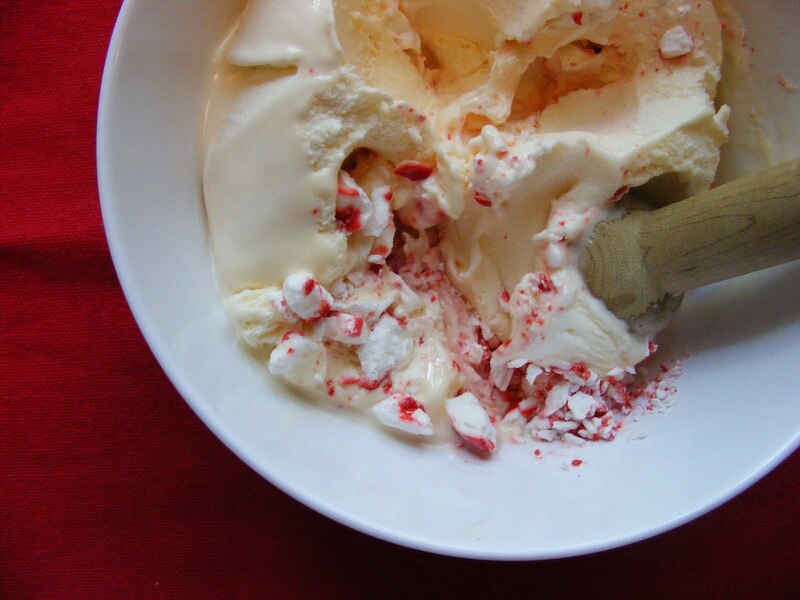 Dump crushed peppermints into a mixing bowl that holds 6 scoops of vanilla ice cream. Use a muddler or a pestle to mix the peppermints into the ice cream. Once mixed, place back in freezer for about 20 minutes. Once the ice cream has hardened back up, and the cakes are cooled you can begin your assembly. 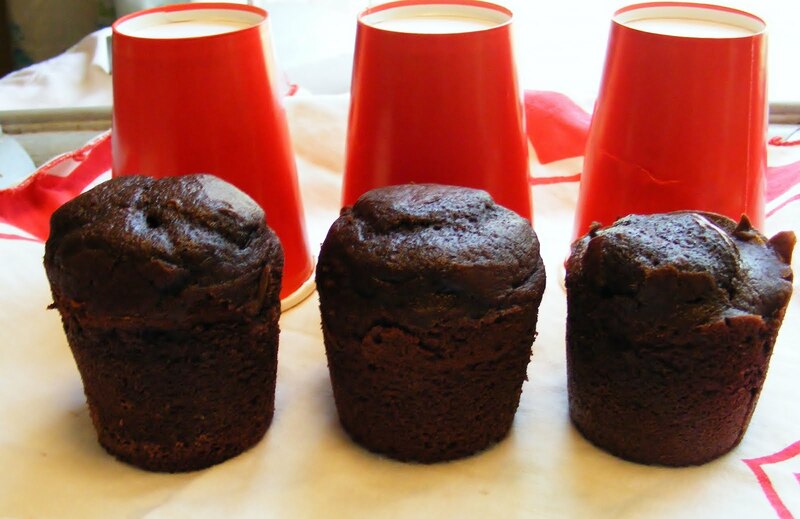 Pop your cakes out of your paper cups and place them mugs. Next, place one scoop of your peppermint ice cream on top of the cake. 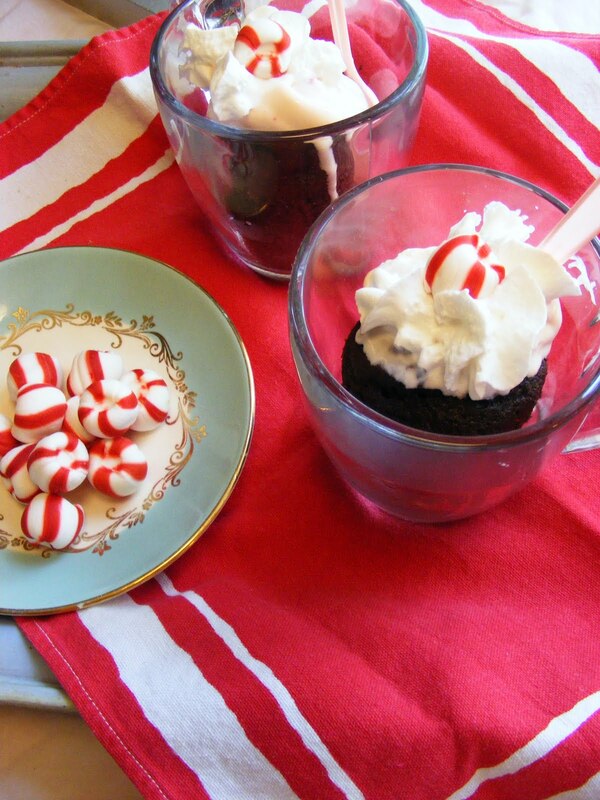 Garnish with whipped cream, a dash of powdered chocolate and a peppermint on top. 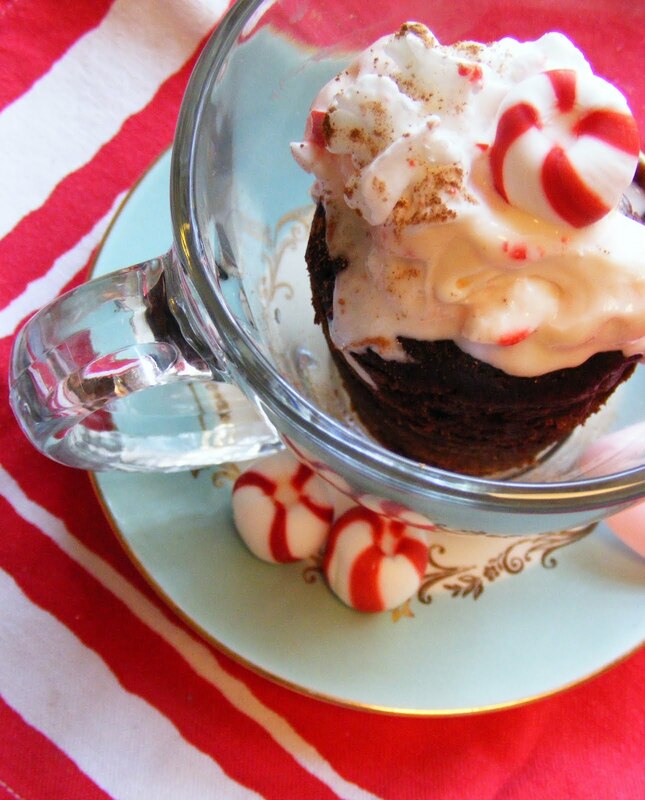 Serve on a cute little saucer, with a festive party spoon, and you have a have a hot chocolate inspired treat that everyone will love, even Old Saint Nick. Now, are you ready to find out who won all the giveaways? I am so excited to share this news – though of course I wish I could give you all prizes just like Oprah ; ) and not have to go the random number generator route! Day 2 – Katlyn J. Day 4 – Sarah P.
Day 5 – Michelle F.
AND because it is taking a lot longer than I expected to get done, the winner of the Pantone giveaway (remember that one??? From light years ago?) is: Elizabeth! Congrats to everyone! 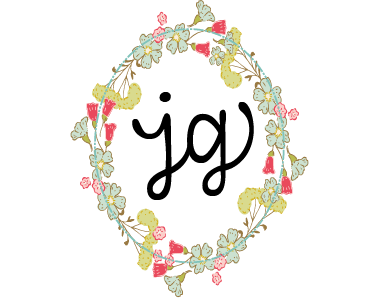 Please send me your address to jerusalemgreer at gmail dot com ASAP and we will get your goodies sent to you! Also, a huge thanks to everyone who went and “liked” or learned more about the non-profits we highlighted here-spreading the word about these organization is a huge help to them! And a special thank you to everyone who donated to the giveaways! Friends, if you are looking for some great gift ideas, please go back and visit our giveaway sponsors, shop their items, and know that each dollar you spend is helping another family have a great Christmas as well. Tasty! I will have to try this one. I am going to try this today as the Polar Express is on tonight and it would be an awesome treat to have with my little ones while we watch it. Thank you for sharing.